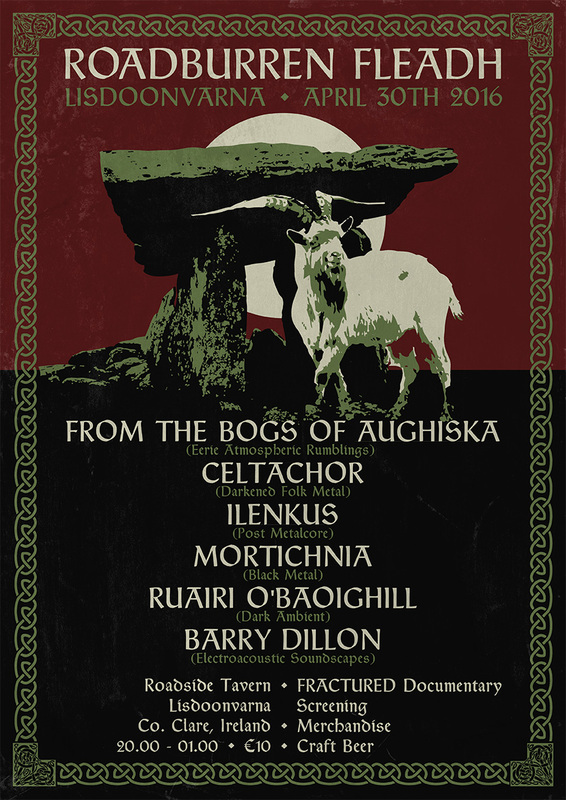 Hailing from the Emerald Isle, North Clare Dark Ambient Alchemists FROM THE BOGS OF AUGHISKA are set to release their new ep ‘The Fenian Ram’ on April 29th via Apocalyptic Witchcraft. “The Fenian Ram” pays homage to Liscannor born engineering legend John P Holland – the man who invented the submarine. It features guest Sean-nós style vocals from Stíofán De Roiste (CELTACHOR) as well as a rework of the late Micho Russell song ‘The Ballad Of John P Holland’. 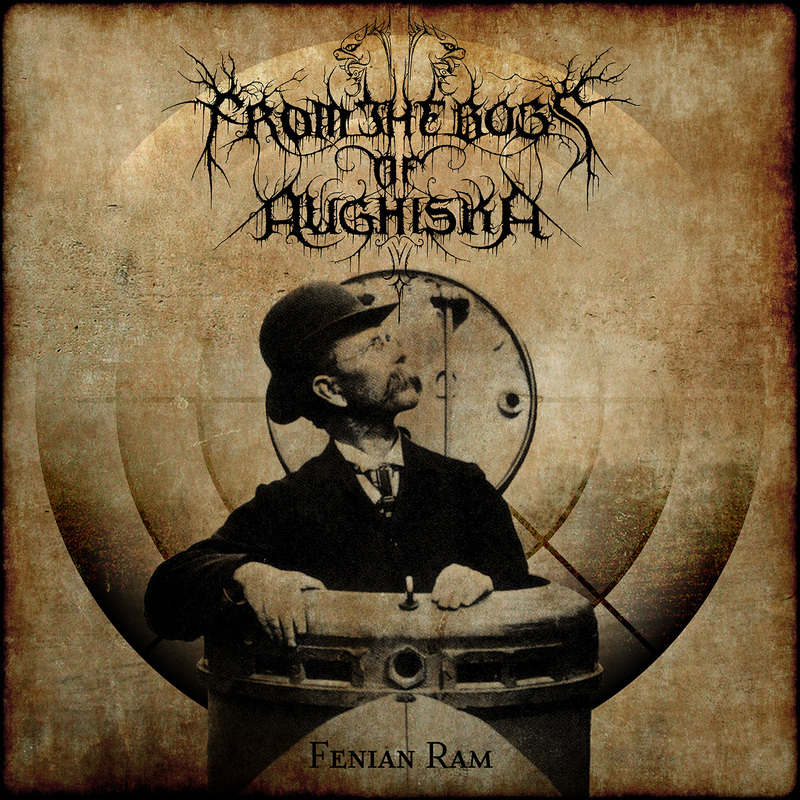 ‘The Fenian Ram’ will be available in digital format as well as on cassette tape (strictly limited to 50). To coincide with the release date of the new EP, FROM THE BOGS OF AUGHISKA will be curating the ‘RoadBurren Fleadh’ one day festival in The Burren Storehouse @ the Roadside Tavern – Lisdoonvarna, County Clare in Ireland on 30th April. The event will showcase some of the best metal bands and alternative electronic artists in the country along with short documentaries on the independent Irish music scene from film maker John Mulvaney. This will also be the band’s first ever hometown headline performance. The line up for this event is completed by Dark Ambient / Drone artist RUAIRI O’BAOIGHILL, black metallers MORTICHNIA, Galway’s post metalcore outfit ILENKUS, Dublin folk metal warriors CELTACHOR and Burren native Electroacoustic Soundscapes artist BARRY DILLION. You can also catch FTBOA this coming weekend when they play Cork and Galway (as part of the IRISH METAL ARCHIVE’s 5th anniversary gigs taking place nationwide) alongside CORR MHÓNA, SOOTHSAYER and WEED PRIEST.